Corsa Performance 14573 - Corsa Exhaust System for Toyota Sequoia 5.7L RSC-Single Rear Exit w / Single Pro-Series 4.0 Tip; 2008-2016. CORSA straight-through design coupled with RSC noise cancellation technology allows us to tune out the undesirable low frequencies that cause droning, while reducing back pressure. A reduction in back pressure allows the engine to produce more horsepower and torque. 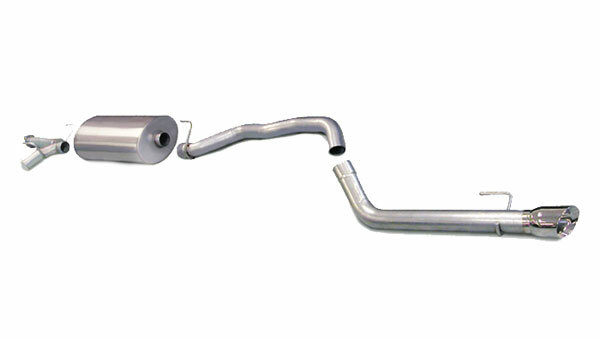 CORSA RSC TOURING exhaust system responds with a more reserved, deep, V-8 sound, yet throaty under acceleration. 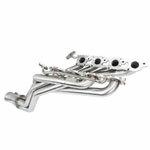 CORSA RSC SPORT exhaust system is best described as producing a bolder sound most evident between 3000 – 5000 RPM WOT. There is no drone with the CORSA exhaust system because the CORSA exhaust system uses RSC technology to eliminate problem frequencies that cause interior drone/resonance at cruising speeds. CORSA&apos;s Toyota Sequoia exhaust system features a patented non-restrictive Straight-through design reduces back pressure and frees up additional power resulting in improved horsepower and torque. As an additional bonus, your Toyota Sequoia can result in greater fuel economy because of less back pressure and more power. Below are other popular parts other customers have purchased for their Toyota Sequoia. 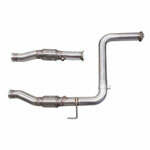 Corsa Exhaust System for Toyota Sequoia 5.7L RSC-Single Rear Exit w / Single Pro-Series 4.